New, Fresh, Limited… and Plucky! Our first barrel aged beer here at Against the Grain is the Kentucky Ryed Chiquen. Named so because: 1. It was made in Kentucky. 2. It has a lot of Rye in it and was aged in rye barrels. and 3. It is not Chicken, and as we all know (or should know) Chiquen refers to anything that is not chicken. 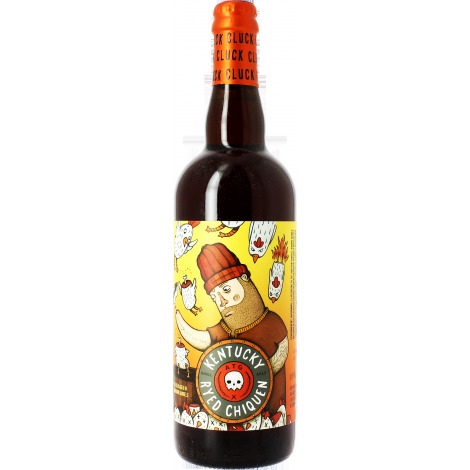 Brewed with Maris Otter, rye malt and caramel rye, imparting a spicy, fruity and dry flavor. Then hopped with enough English Nugget and Kent Goldings just to balance and fermented with our house ale yeast. After fermentation we moved the entire batch into the AtG private dining room and into used Redemption Rye barrels from our good friends at Strong’s Spirits. There it aged for 5 weeks until we felt it had picked up the right amount of residual bourbon character and oak flavors. We then transferred it to our serving tank, carbonated it and the end result is on tap now, a balanced drinkable and complex barrel aged beer. Imperial Biscotti Break dry-doughnuted!! YUM! Berliner-style Weisse ale brewed with olives AND strawberries. This beer was inspired by a food dish with strawberries and nicoise olives. New for 2015. Choklat Oranj is the latest offering from Southern Tier’s Blackwater Series. An Imperial Stout brewed with chocolate and orange peel. 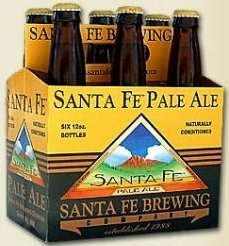 Anything but a typical American Pale, Santa Fe Pale Ale is as full bodied as its most robust English counterparts, while asserting its American origin with a healthy nose resplendent with Cascade and Willamette hops. It finishes with a well-balanced combination of the subtle, almost Pilsner-like maltiness accentuated by the German yeast used to brew this Santa Fe classic, and a hop bite sufficient to leave a lingering smile on the face of any fan of American Pale Ales. Brewed in the style of Dortmund, Germany, this golden lager has a delicate caramel malt character, balanced by a light body and mild German noble hops, creating a crisp, refreshing finish. CBC Glasses – V2.0 – LIMITED!